From uptown urban to neighborhood suburban, Laurel is a stylish mix that combines the best of both worlds. Streamlined design with room enough for two, the Laurel chair and a half has an eclectic look that complements almost any style. 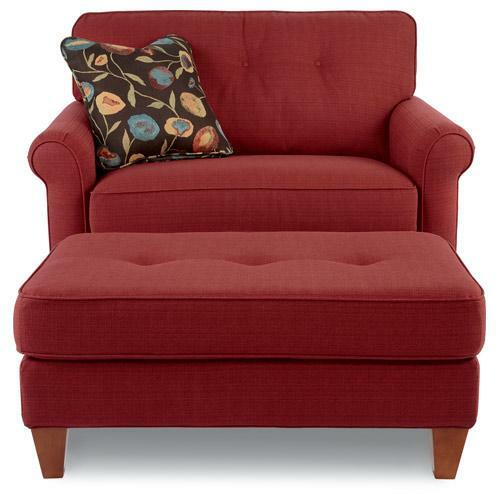 Relaxed button details and gently rolled arms add distinction while shapely wood legs and a matching accent pillow complete the look. Available in a wide variety of custom fabrics and leathers. 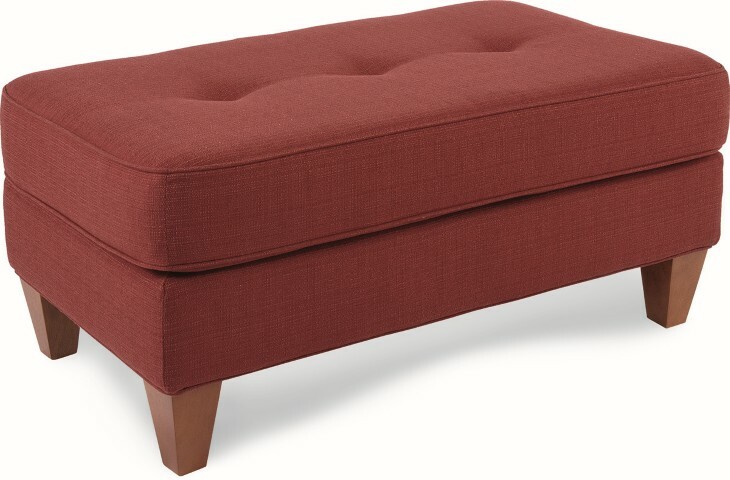 Also available: Sofa and Bench-style Ottoman.